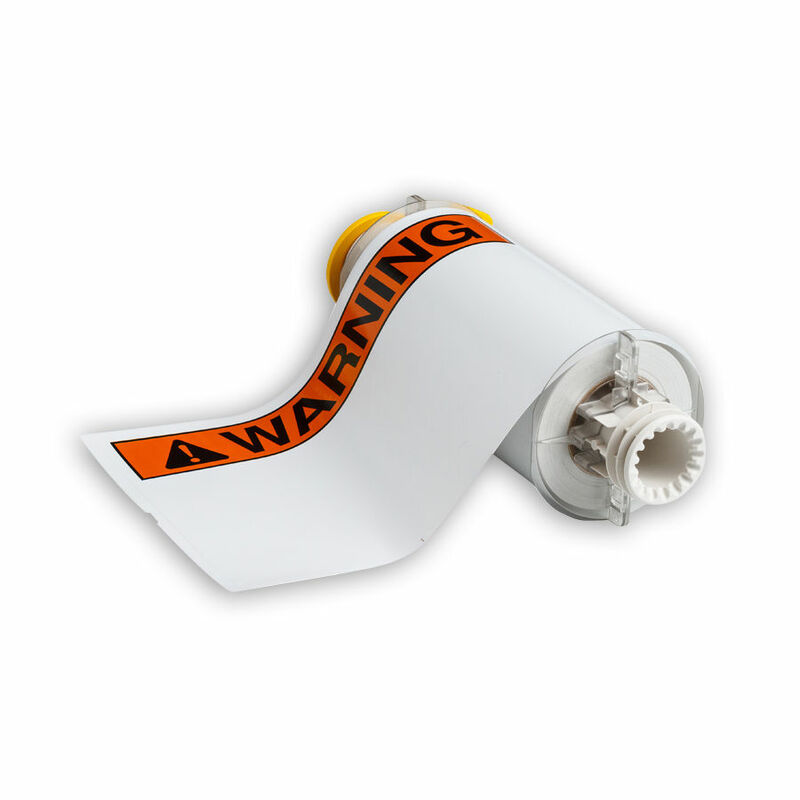 These ANSI Warning Labels are made for use with the Brady BBP85 Sign and Label Printer. They are white labels pre-printed with an orange and black WARNING header, which allows you to create custom, colorful warning labels using only a black ribbon. The headers meet ASME/ANSI Z535 standards. These labels are made with our B-595 indoor/outdoor grade vinyl material, which has an ultra-aggressive adhesive that conforms to rough, highly textured and "difficult to adhere to" surfaces. It is a low-shrink vinyl with 8-10 year outdoor durability.